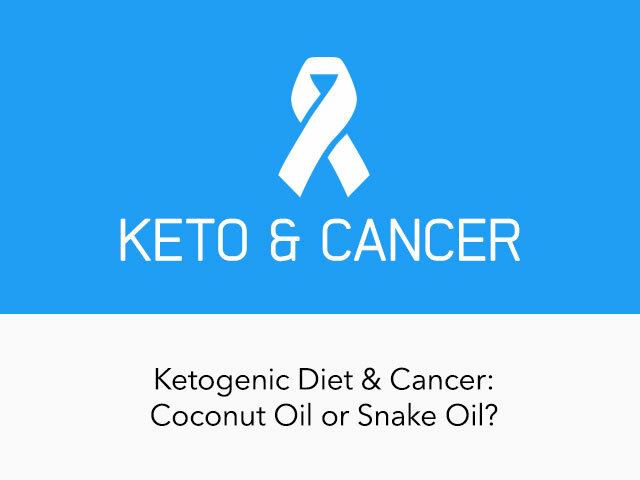 Ketogenic Diet and Cancer - Coconut Oil or Snake Oil? Coconut Oil or Snake Oil? For the last couple of years, more and more people have successfully been using ketogenic diets for weight loss. However, weight loss is only one of the many health benefits of low-carb diets. In fact, you don&apos;t need to strictly follow a ketogenic diet to lose weight. Low-carb, paleo diets have all been shown to help people shed extra pounds. Apart from managing weight, ketogenic diets have been used for treating epilepsy and other neurological diseases since the 1920&apos;s.
I am pleased to introduce Alix Hayden from Greymadder.net who has been following the ketogenic diet and successfully battling cancer since 2012! I discovered Alix&apos;s blog about a year ago shortly after reading Dr. Seyfried&apos;s report on how to use the ketogenic diet as part of cancer treatment. 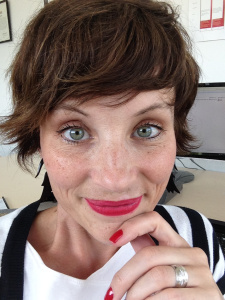 Alix&apos;s post My Ketogenic Life: Year One shows how strong, supportive and amazing person she is. A few weeks ago, I was quoted in an online news piece regarding my use of the ketogenic diet to battle cancer. I have detailed my approach to managing my grade two brain tumour using the keto diet on my own blog, which had garnered some attention. The article was shared on social media on a site I follow, which primarily targets an audience interested in using the ketogenic diet for weight loss. I was mildly surprised to see that there was a common theme in the comments that (I paraphrase here) “this kind of hype is what makes our diet lack credibility for weight loss, because people try to make it a miracle solution for everything”. Funny how perspective changes everything, isn’t it? On my own blog, I’ve written for an audience of people who are desperately seeking credible information on lifestyle interventions to manage cancer, and I’ve often found myself advising that one must dig through the preponderance of information that is targeted at weight loss, in order to find the specific info for addressing cancer. I think we all passionately want the same thing – to share information about something we believe has the power to really impact everyone’s life and health in a positive way. So, when Martina invited me to write a piece for her blog, I spent some time “noodling” (zoodling?) over what to use these few hundred words to say to you all about the use of the ketogenic diet for cancer. Because I think it’s important we all see one another’s perspective and not fall into a trap of co-opting, commoditizing or branding this lifestyle to the point that sharing information on one perspective is seen to diminish the value of others. That said, I’ve met – online and in real life – a number of people over the past 18 months of my ketogenic expedition who actually don’t realize at all that this diet has strong medical treatment roots. So, perhaps you’ll indulge me briefly and take a look into the medical history of your favourite diet and mine. Fasting and other dietary regimes have been used to treat epilepsy since 500 BC (ref). In the 1920’s, medical research saw the rise of the ketogenic diet, which was observed to mimic the effects on the body of fasting, allowing a fasted state to be maintained for an extended period of time. The actual term “ketogenic diet” was coined by a Mayo Clinic researcher named Russel Wilder, who published the first study of the diet in a few epilepsy patients in 1921 (ref). Around the same time, in seemingly unrelated news, a fellow named Otto Warburg was working on what would be Nobel Prize winning research in the field of cancer cell biology. Warburg’s work led to the commonly heard concept today that “cancer loves sugar”. Here, I’ll take a little detour into biology 101. Normal cells in our bodies produce energy to do everything through a process scientists call “respiration”. This is all of the chemical processes required to make energy the cell needs to live. Normal cells start this process using oxygen, then go through a lot of work in the cell’s power station (structures present in every cell called “mitochondria”) to produce cellular energy. Dr. Warburg showed that cancer cells, even in the presence of oxygen, preferentially ferment sugar for energy, and believed this metabolic dysfunction to be the primary cause of cancer, not just a symptom. It turns out that the cells in our bodies can make energy using oxygen in a process with either of two types of chemicals. One is sugar, the type Dr. Warburg observed cancer cells prefer to use. The other is fats. When blood glucose is low, normal cells switch up to use fats and go on working, in a beautiful adaptive process that we all know and love as “keto flu”. Warburg’s work, and a great deal of research since, has shown that cancer cells are not so metabolically flexible, because of their dysfunctional power plants. Basically, without blood sugar present, research has shown that the “power grid” goes dark in cancer cells. This evidence has led to the present interest in exploring how a ketogenic diet affects cancer cells. Scientific research in this area is growing tremendously, with many new human clinical trials underway. After doing a great deal of reading, I became convinced that this was a legitimate approach to try and prevent my brain tumour from growing. I’m starving it. I visualize my book and movie, entitled “The Girl Who Starved Her Brain Tumour Right to Flipping Death”. I’m open to other suggestions on that. My daily diet looks much the same as the rest of yours. But there are some differences that I think bear highlighting, in the interest of sharing perspectives. I don’t really fight with temptations to cheat. Every time I look at something that used to tempt me (POTATO CHIPS), I see a big bowl of tumour food, and I imagine my dark little cerebral passenger rubbing its cancer-y hands and growing big and happy. Temptation gone. I also think a lot about my blood numbers, and can get measurement obsessed. I feel sometimes as though people using the diet for weight loss can see the scale, and adjust macros as necessary to see progress, and reach their own “carb tolerance” levels. I feel like I am constantly trying to maximize ketogenesis and can’t afford to have carbs at all that might feed that intruder, so I’m pretty strict at less than 20 g carbs per day. So, that’s my individual perspective on what brought me to the ketogenic diet. I truly believe these different perspectives are valuable; just imagine how tremendous it is that while you’re working on controlling your weight, diabetes, thyroid or seizure disorders, what if you’re also actually starving your own little potential cancer cells? It’s all good news! Thank you, Martina, for some of my favourite recipes, your useful information, and for the invitation to share these thoughts with your ever-growing community. Folks, thanks for reading. If you would like to read more about ketogenic diet & how to use it for cancer treatment, have a look at these amazing resources: Info on Ketogenic Diet and Cancer on Alix&apos;s website! Alix Hayden lives and works in the Canadian prairies. She is an operations executive at Phenomenome Discoveries Inc., a company that works to develop new blood risk monitoring tests and preventive treatments for various forms of cancer and central nervous disorders. Good on you! In the 1980s, I learned how the ketogenic diet worked for epilepsy, and that weight loss was a side effect. Therefore, it always impressed me as a medical diet. Some of these keto disciples have no idea. "The Monster in My Gut" was diagnosed this year, and after several books, videos, and classes, I decided that keto and fasting were the way to go. Of course, one has to eat natural foods and avoid products of any kind. Except for grass-fed butter, I do not consume any milk products. All of my carbohydrates come from vegetables or vegetable fruits. My doctor put me through an elimination diet so see what caused what reaction. Recently eggs have become suspect, so I am dropping them. My doctor approves of the low carb lifestyle. He keeps track of my progress and tells me that my health has been improving. Friends and family say I look better, and excess weight is dropping. Like you, I look at former favorites, such as donuts or ice cream, and see only that which feeds the cancer. Thanks, your post has been encouraging. I can't wait to see your movie! i sincerely hope you allow this comment to go through. i love learning different sides to nutrition. I myself follow a high carb, plant based diet and NEVER have to 'lean out' or 'diet down' while eating all the fruit and veg/carbs i care for. I found this study that contradicts what youre saying ...thoughts? Dr. Mirkin's web sites: "Eating a high-fat diet causes your liver to make more bile, and bile is loaded with a chemical called lithocholic acid, a bile acid that helps digest fat. Lithocholic acid is probably the most toxic compound that your body makes. Lithocholic acid damages the DNA, the genetic material in cells to cause cancer." fat also blocks sugar from moving in and out of the cells, therefore increasing insulin and blood pressure. Hi Cel, I never delete comments, unless they are rude or off topic. I just noticed your other comment and left a reply. Now, back to low-carb diets. As far as I can tell, the studies mentioned in the article don't focus solely on low-carb, high-fat diet but only high-fat diet. While low-carb, high-fat diet focused on whole foods is healthy, high-fat diet could be very unhealthy if eaten with processed carbohydrates, oils, etc. As an example, eating hamburgers & chips (high fat, high carb, high calories & processed foods) is not the same as eating meat, eggs or raw dairy with vegetables. Also, many of these claims are based on epidemiological studies. It doesn't mean they have no value but correlation does not prove causation. Also, most studies that blame meat don't distinguish between processed meat and fresh meat. It's very important where these animal sources come from and what they are eaten with. Go to chriskresser.com to learn more. I have a relative fighting cancer and doing great on keto. It's been 4 years and she has no signs of tumour growth. Hoping for the best I truly believe this is the way to go! Very inspiring, thank you for sharing Alix! I just hope keto will be commonly used for cancer treatment soon. More people need to know there are other options that are less invasive! If you go on Reddit (R/ketorecipes), you'll see scads of people who are willingly eating keto, but they're still buying crap off the shelves, and hollering for more...THEY WANT THEIR CONVENIENCE, and that's what will be their undoing. They gladly use sweeteners without regard for what it does to their blood sugar (because they don't bother to monitor it), freely indulge in artificially-flavored syrups and pre-packaged stuff because they're zero-carb, and the bottom line for them is net carb count of 5 grams or less, microwaveable, and closely resembling the junk foods they used to eat. Desserts score highest, followed by bacon stunts, then by pizzas, with very few main dishes. They don't know WHY certain foods are part of the diet, and they don't care--as long as the recipe hits all their bottom-line parameters, they don't care how they get there. Fake syrups, LC tortillas off the shelf...whatever's the least amount of work, so they have more time to be social--and by that, I mean "cellphone social", as in texting, sexting, Facebook, Twitter, the works. I also have read tales of their drinking excursions...like alcohol is keto! R/keto recipes users in particular have narrowed their own world of food possibilities down to a pizza circle-jerk. Recipe submissions have eliminated a whole host of perfectly fine keto-qualified foods in favor of junk food look-a-likes. Basically, it's the same few recipes over and over again, with very minor twists (additions or deletions), pizza being in the lead. This is what happens when you aren't willing to take the time to get educated on how convenience can kill. I wouldn't be surprised to hear of headstones saying "Keto didn't save me"--that's because they weren't doing it right! Yes I know, Reddit is a community with particular focus on anything that is close to zero carbs and food quality is often ignored. If it doesn't meet the above arguments you mentioned, it's often blacklisted. When I started following keto / low-carb diet, I was already eating paleo, so it was natural for me to avoid artificial sweeteners and fake foods. Alcohol is a "treat", not a regular keto-friendly treat. Yes, it doesn't have carbs but that doesn't make it healthy. As long as people know the consequences, they can have a drink every now and then but shouldn't make it a habit. The problem with alcohol is that it increases appetite and blocks fat burning. Oh depression, now that's it exactly what our western diet is designed to create! Have you read "The Mood Cure" by Julia Ross. Very good reading, and yes it works. It's all about false moods caused by the garbage we are calling food. It's amazing how happy you can be when you get rid of all of it! Oh my. I'm one of those eat any low carb so what it's Atkins dieters, or I was until I delved into the articles on this wonderful site. My conscious was telling me all along the way I was eating is wrong. God did not make this fake food we consume and the capitalists don't care as long as your buying. Buy the food, get sick buy the medicine. It's a vicious cycle. Eat only from the goodness of God's creation. Holistic all the way. It's a positive way to be healthy. But how do we combat the worlds pollutions and pharmaceutical waste in our drinking water, microwaves, hormones, cloning our food,(Monsonto) plastics, toxic waste, stress from high pressured lifestyles and the list goes on. It's almost imposable to completely avoid all of these. Depression is a side affect from all this mayhem that also causes physical ailments. Another great tool is to laugh, love, forgive and be happy. This will reduce sickness as well. You are right Ann, there are so many factors that affect our lives. Sometimes we focus too much on one thing and forget about everything else! Having had relatives all around me die from one type of cancer or another, I've dug deep to find out what causes it, and how I can avoid being the next victim. Two things feed cancer: excess sugar and excess hormones. Going Paleo (more for the learning process), then going keto, helps to starve out any cancer food in the body (provided you don't smoke). There are lots of people who just take the direct-to-keto route without learning about the dangers of processed foods, factory-farm-raised meats, fake foods, what fructose does to your body, goitogrens and estrogenic foods, and sugar substitutes that still have sugar in them, trying to lose weight quickly and painlessly. It's not just the weight loss, it's the LEARNING PROCESS that helps you make the transformation. Yes, keto diets CAN be a cure-all, but the time to eat this diet is BEFORE you get sick, not after--by then, it's too late. If you eat keto from birth, and teach it to your kids and grandkids, there will be no future need for doctors except in cases of broken bones and trauma--cancer will be wiped out, and diabetes will be wiped out in as little as three generations. How? Why? The answer lies in EPIGENETICS. When a person is born, they are born with pre-programmed eggs or sperm, courtesy of their parents. From the moment they take their first breath, and ingest their first milk, they are eating for three--themselves, their future children, and their future grandchildren, hose eggs and sperm THEY help pre-program. When a woman is pregnant, she's actually eating for 3 and not 2, so clean eating is particularly crucial, as she is programming her child and future grandchildren all at the same time. If both mother and father eat cleanly before she gets pregnant, they're resetting their own genetics, which will help reset baby's genetics, and in turn, affect the baby's eggs or sperm. By the time the third generation is born, their genetic code will mostly be wiped out (and no longer susceptible) of any Western diseases caused by lifestyle--this is how we can rid the world (or at least our family trees) of cancer, diabetes, and many other diseases WITHOUT THE USE OF DRUGS OR DOCTORS! So this makes Paleo and keto diets more than just ways of eating--they may as well be D-I-Y health care reform plans, and D-I-Y genetic code reform plans. They're the ultimate preventative, with more diseases being reversed or cured from them every day! Right now, there's a Kickstarter campaign to raise funds to research how a Paleo diet affects PCOS--I hope this can be added to the long list of health maladies these styles of eating relieve or eliminate. Thank you for your input! I totally agree, it's not just about weight loss, it's about how it affects our overall health. I think you can be healthy even without being keto - low-carb, paleo diets with low to moderate amount of carbohydrates (30-150 grams of carbs) are beneficial but it also depends on individual needs. In general, physically active people can eat more carbs but it doesn't mean they necessarily need them. I'll have a look at the campaign - thanks! I've been following keto for over 3 years to manage my breast cancer and it has been going great. I totally agree with Alix, when I see carbs, I see the tumour growing, all temptations are gone! Well done Kelly! Keto on!